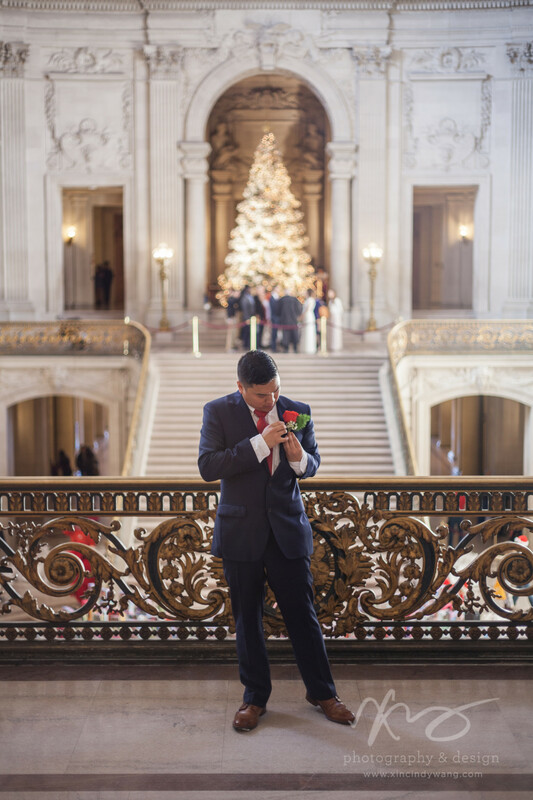 So this is one of those slightly embarrassingly late uploads whose timing I just can’t lie about, even though it’s a) indoors, and b) in San Francisco, where the weather is the same 12 months of the year. 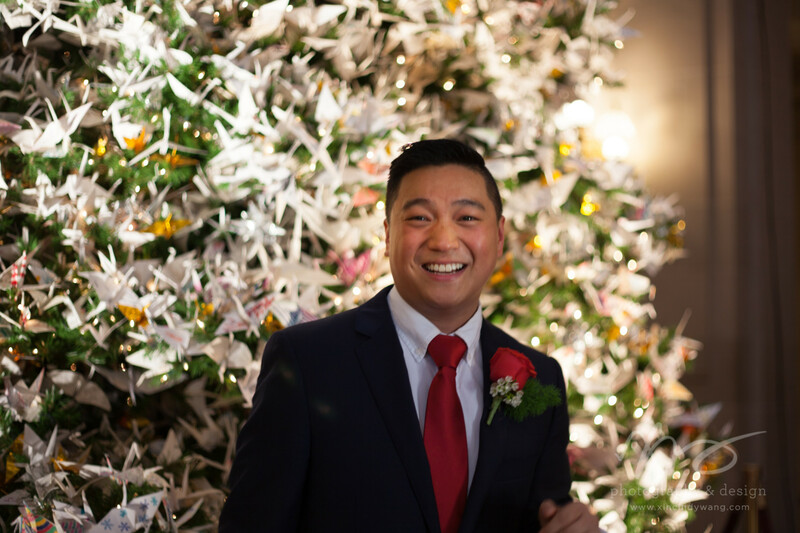 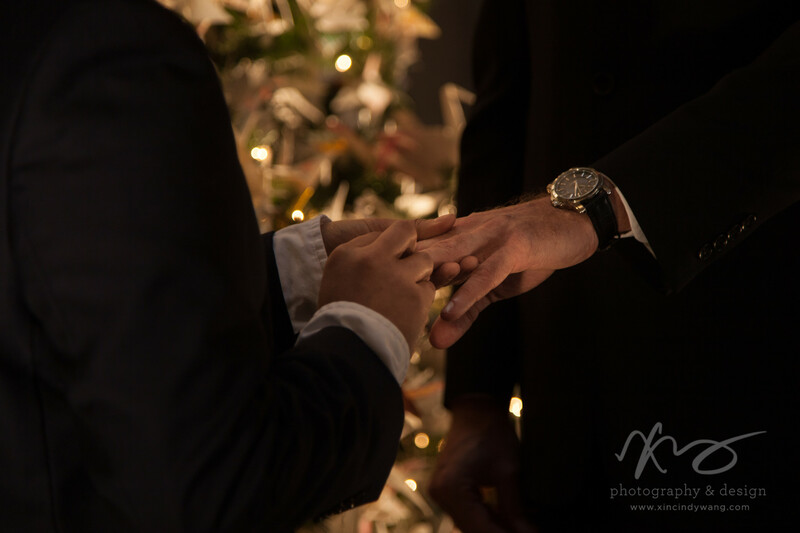 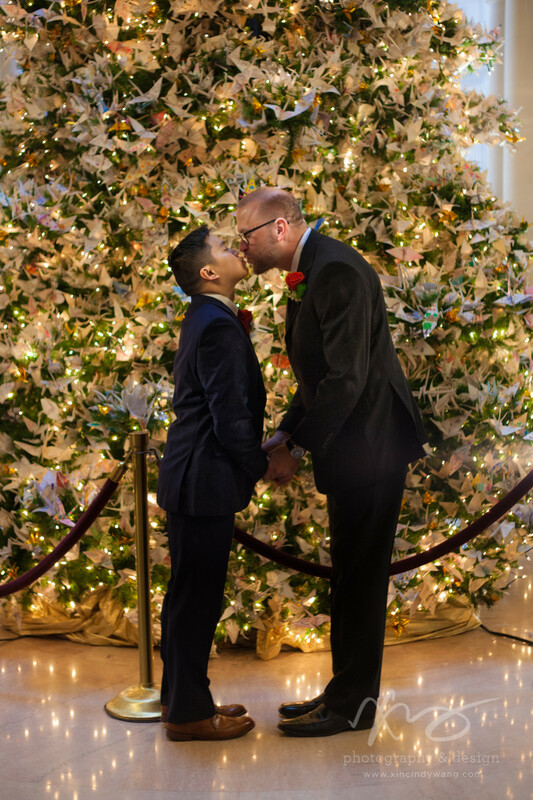 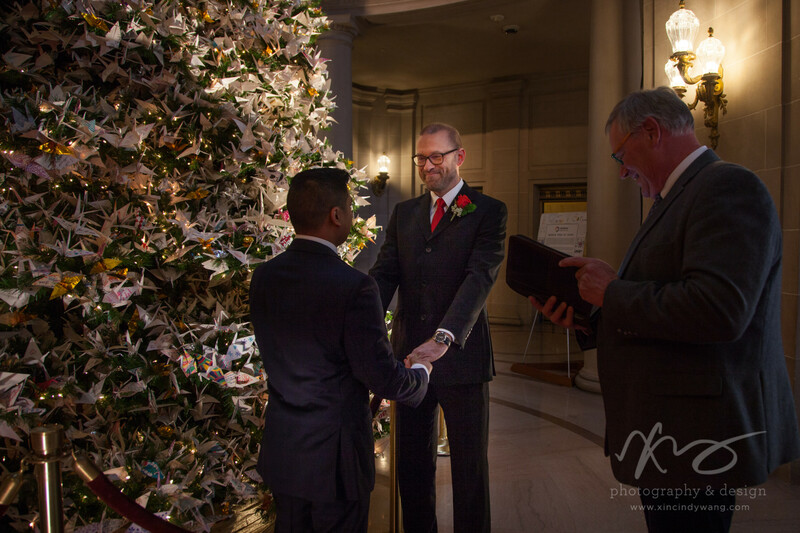 These fine gentlemen pictured below decided to get married at right around Christmastime, which means there’s no escaping the glitzy tinsel and the enormous tree and all that red-and-green. 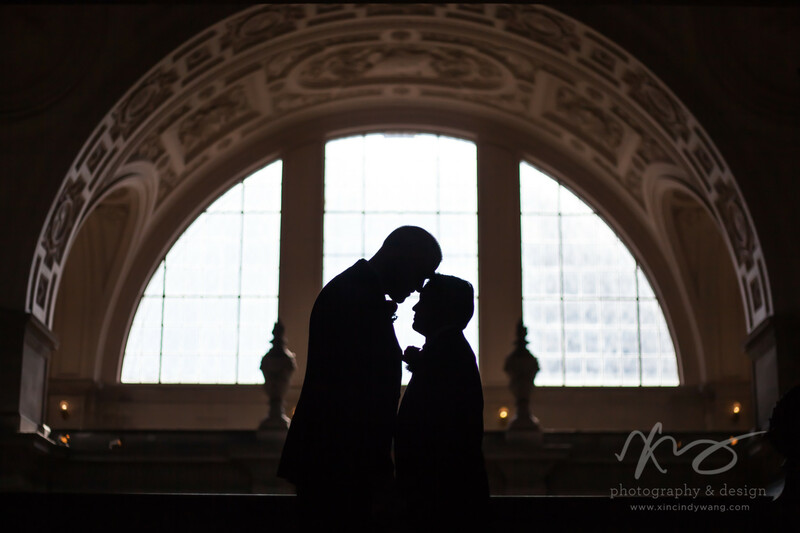 And so here we are, a full eight months overdue on the uploading, but guys we are going to get better at this! 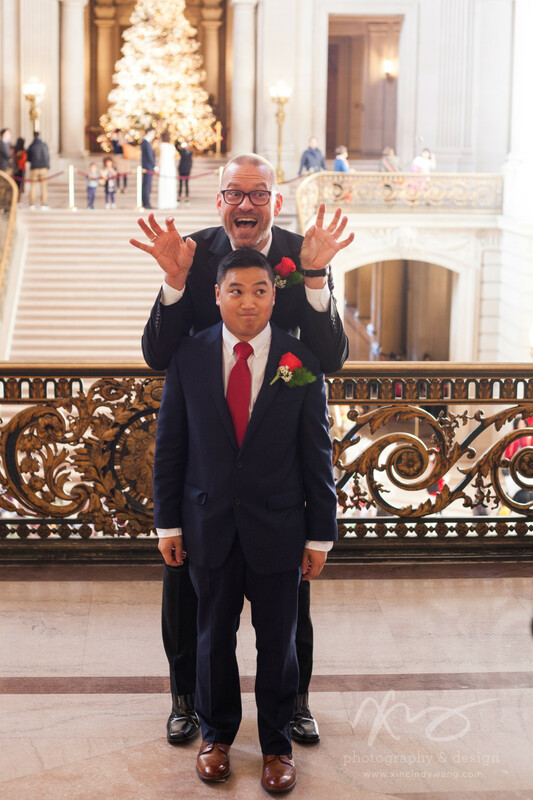 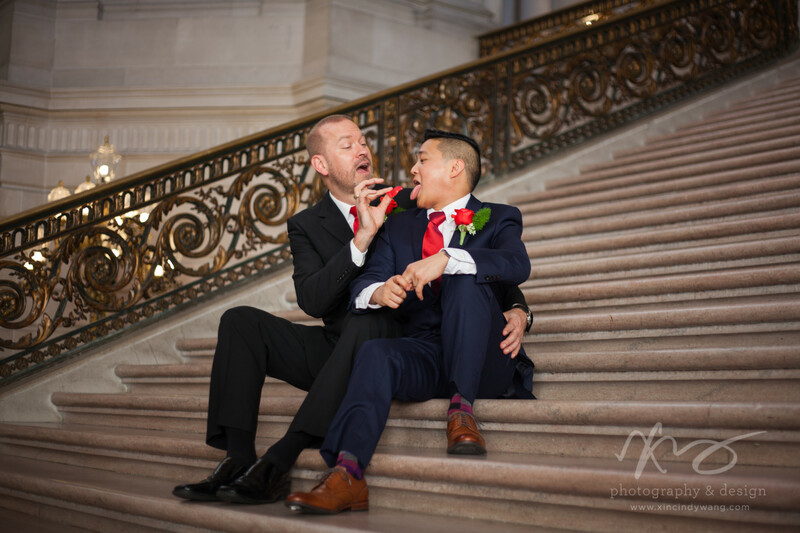 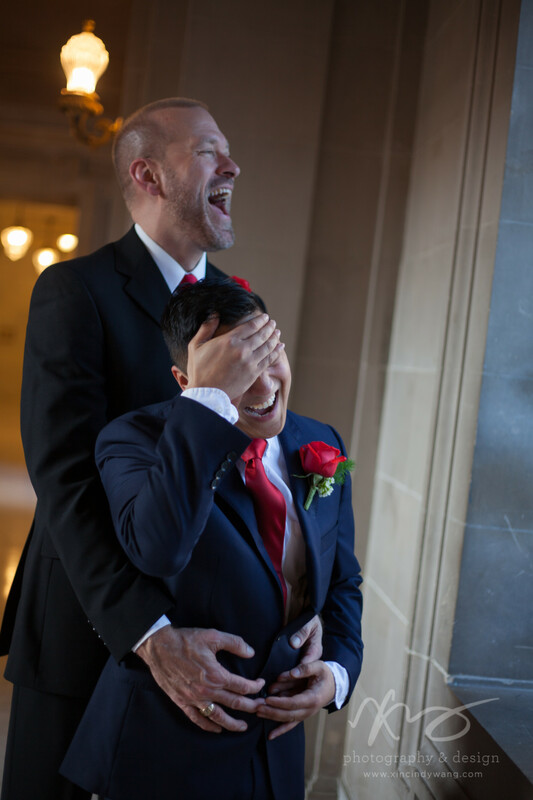 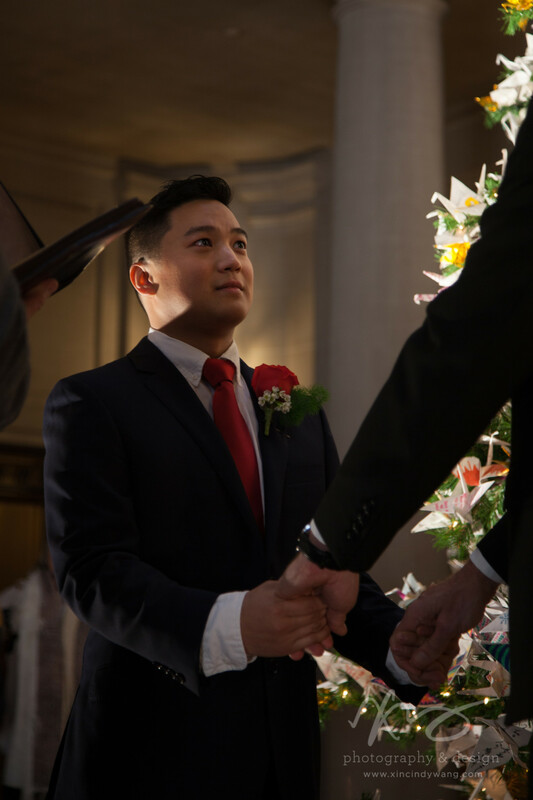 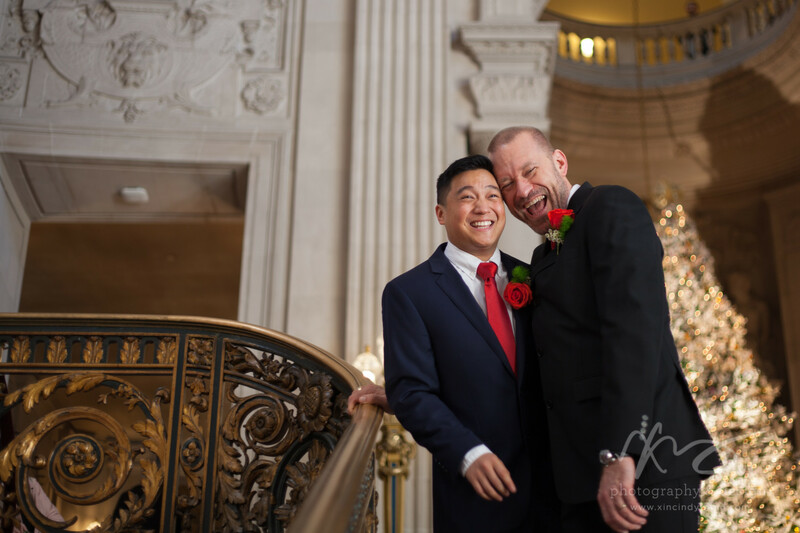 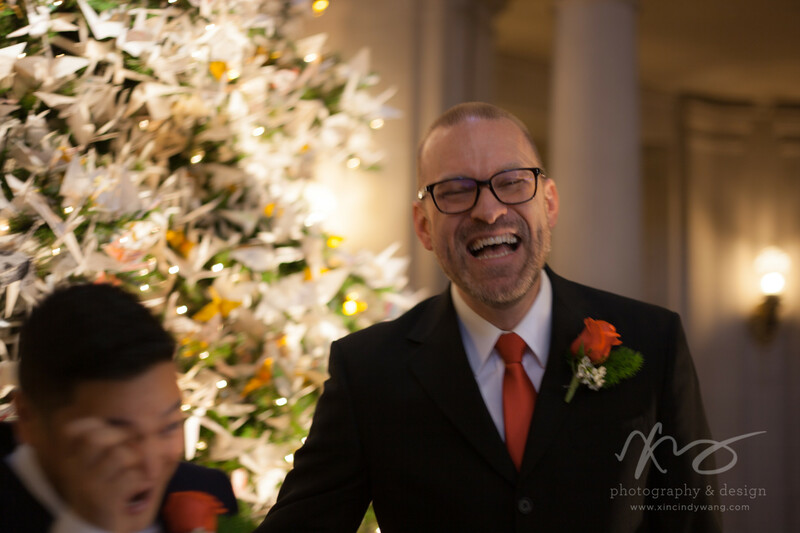 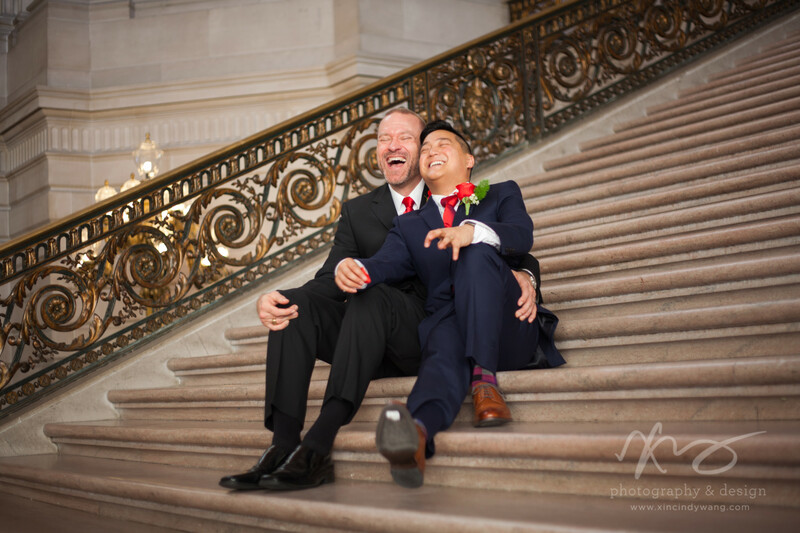 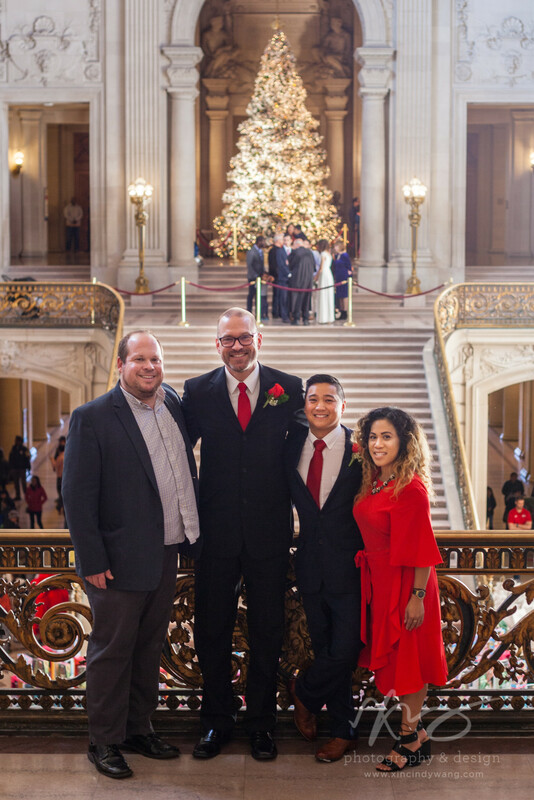 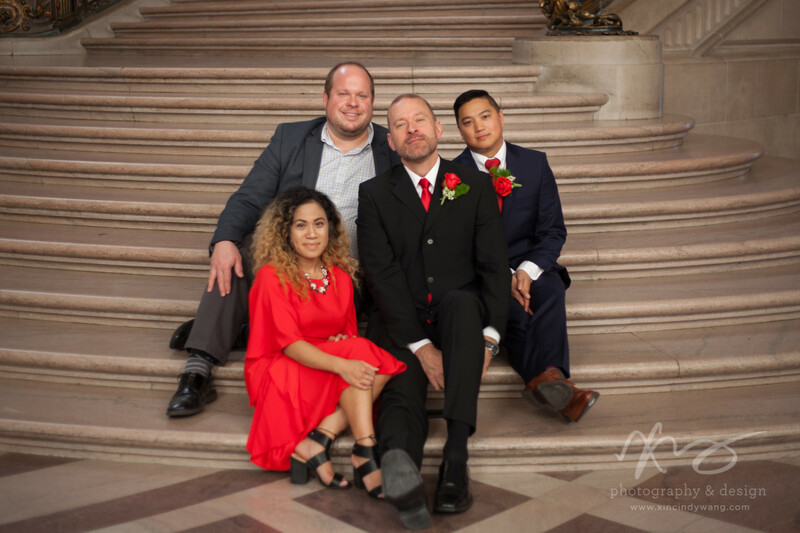 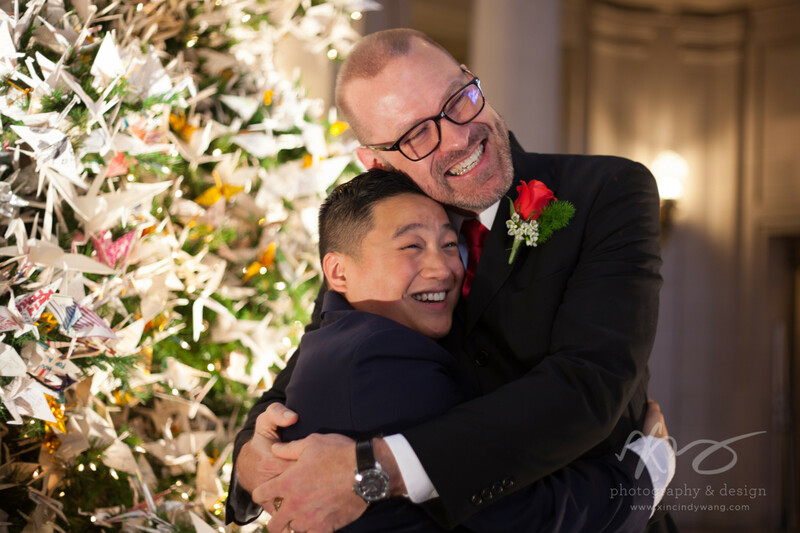 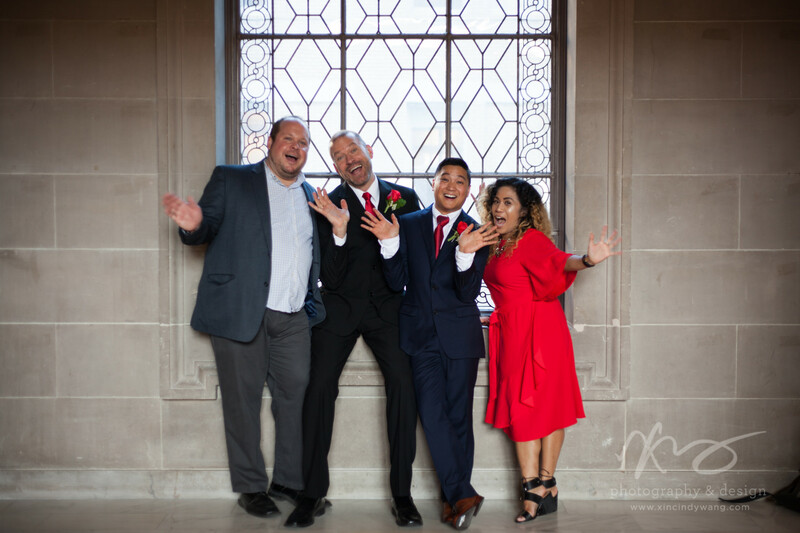 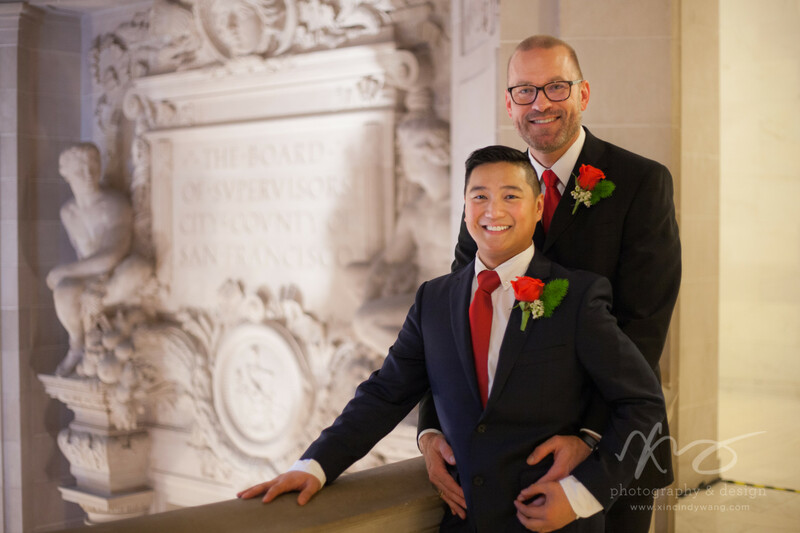 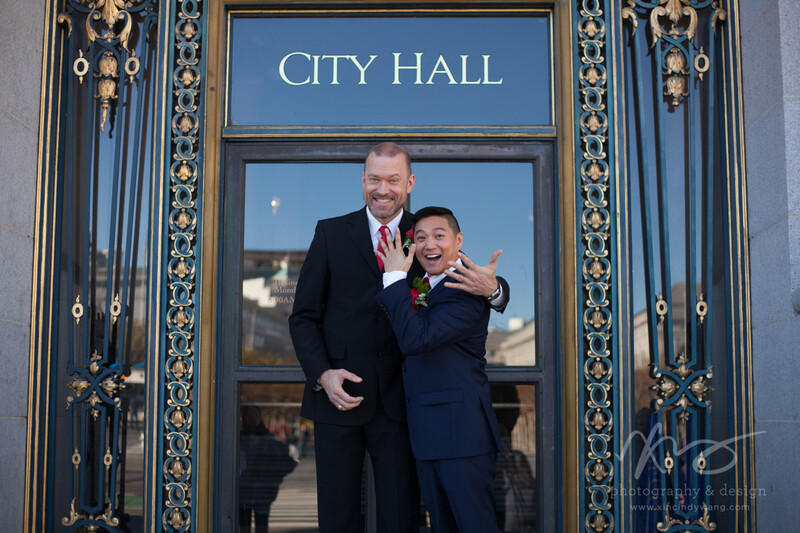 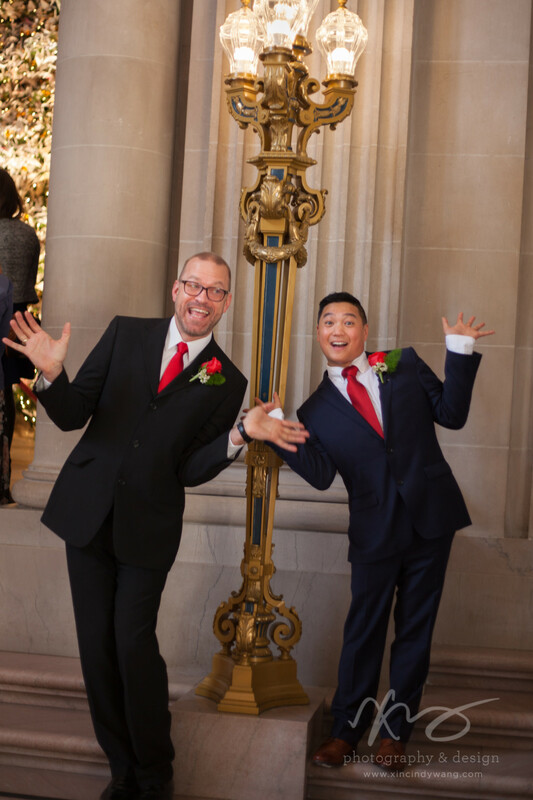 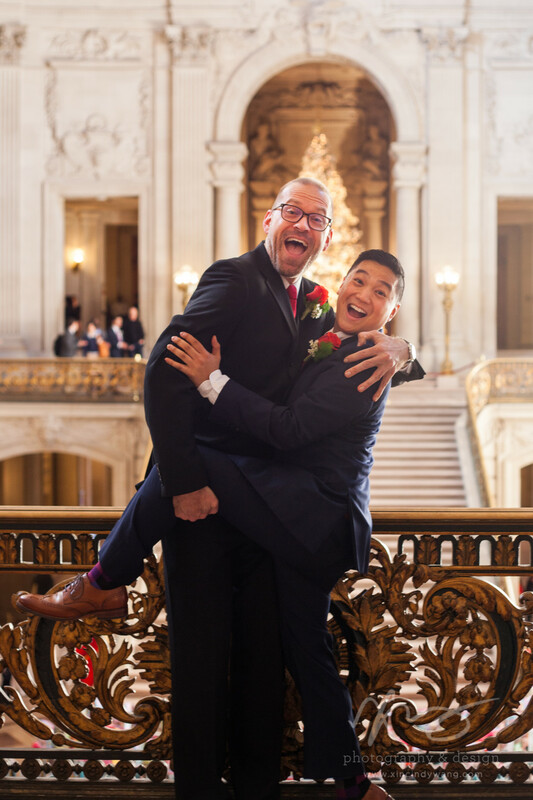 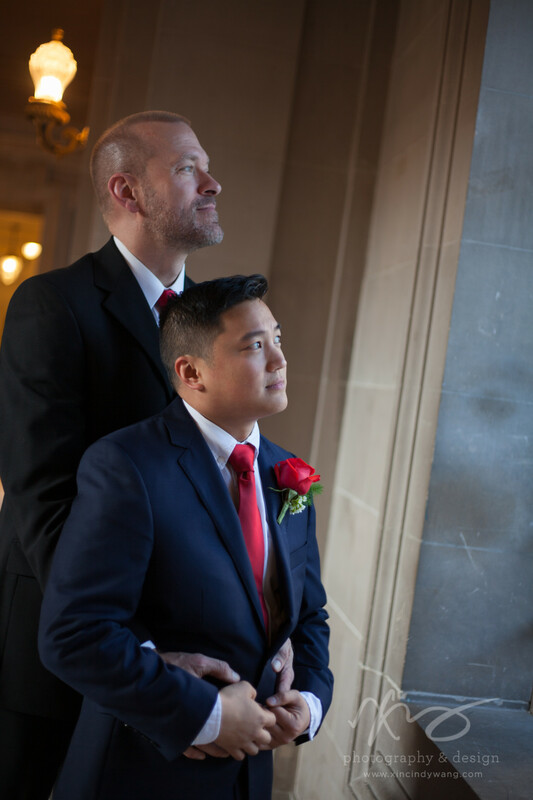 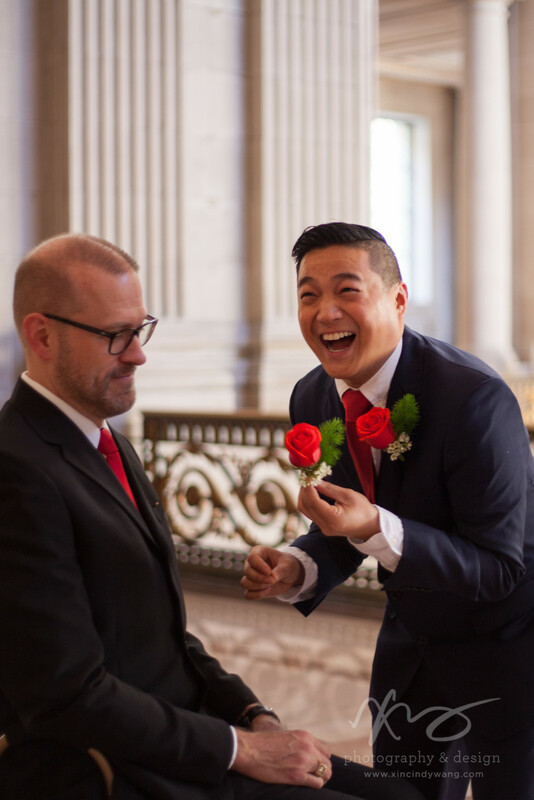 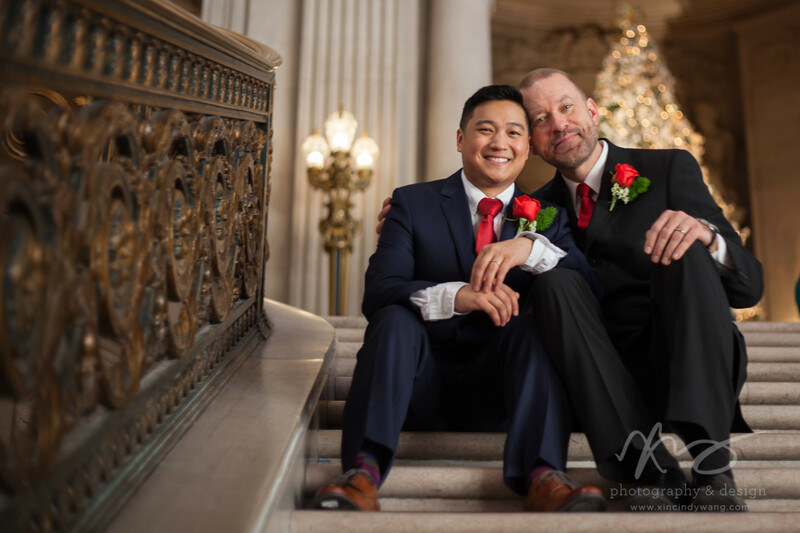 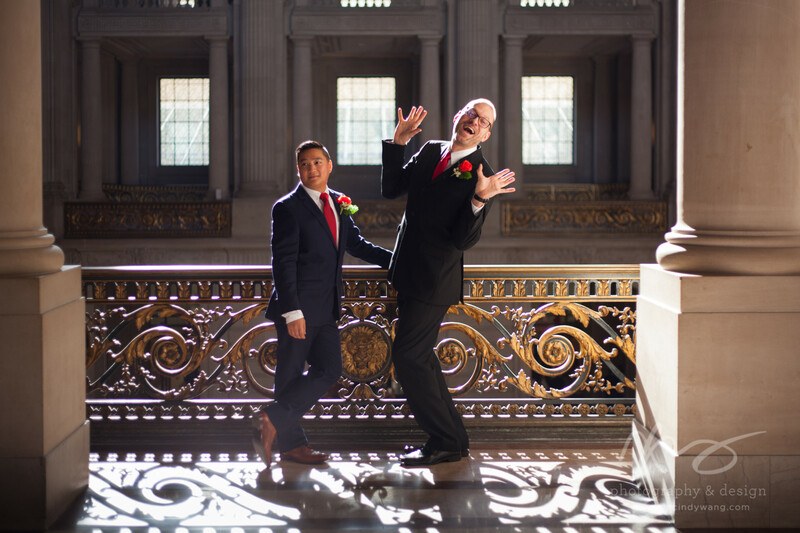 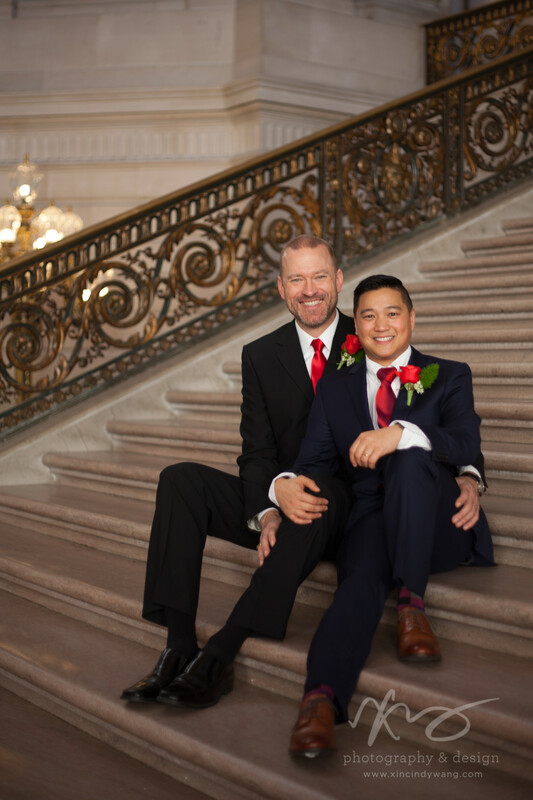 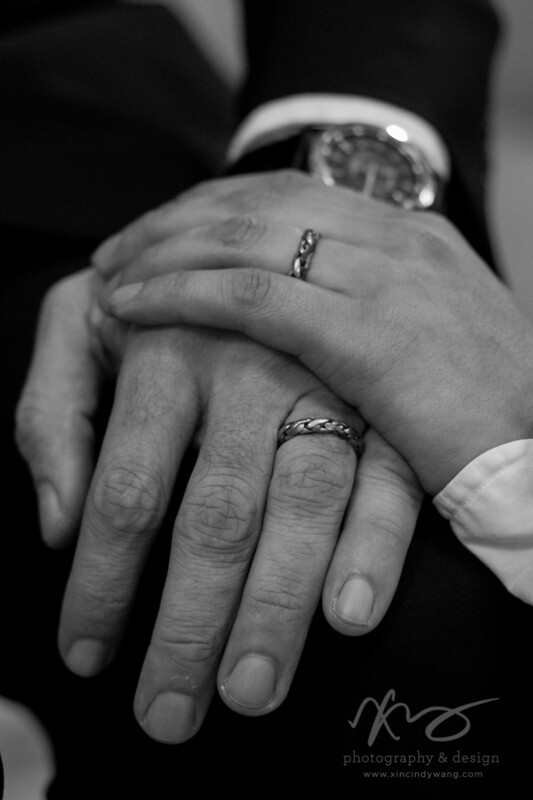 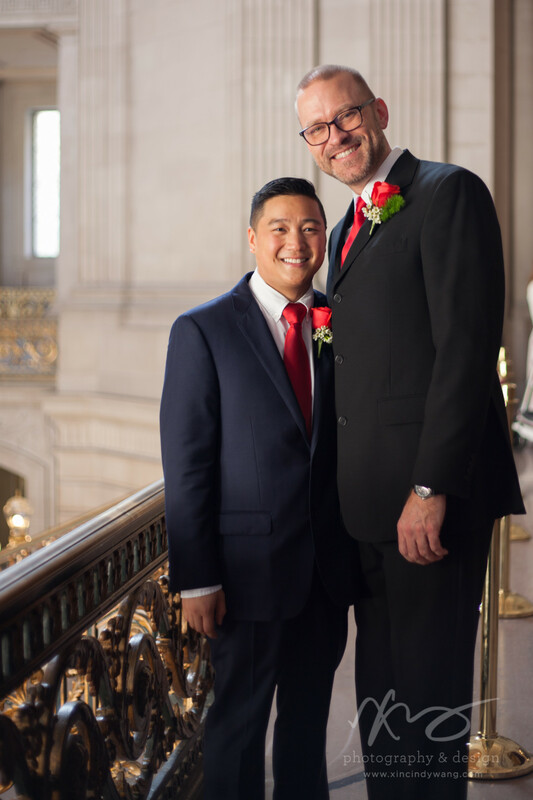 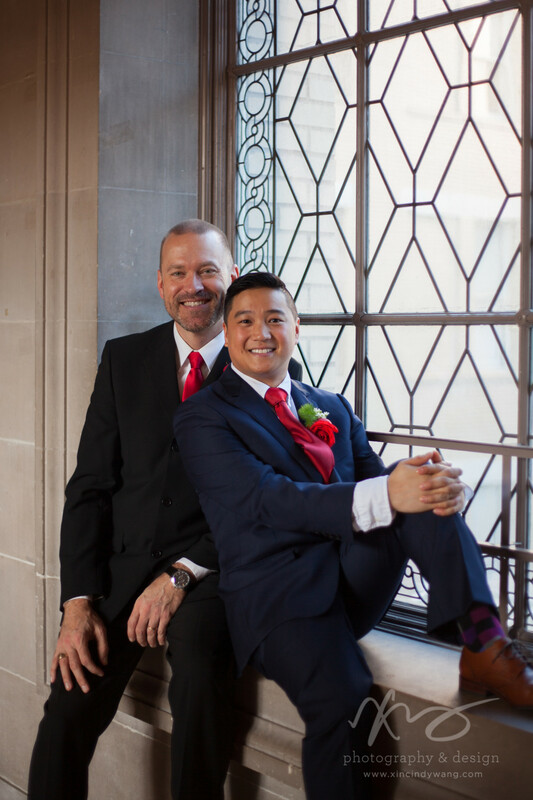 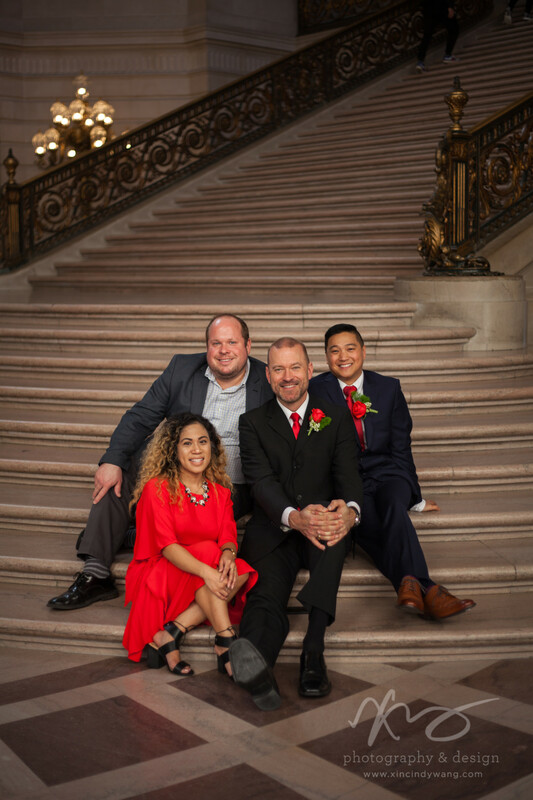 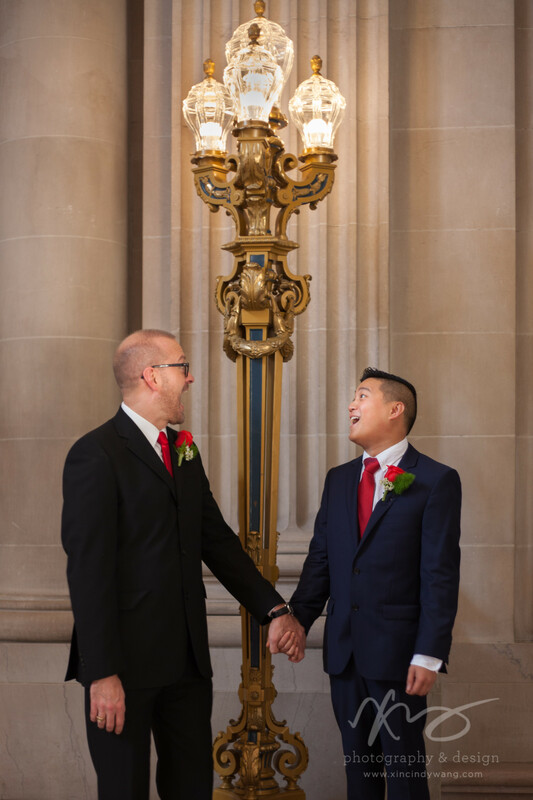 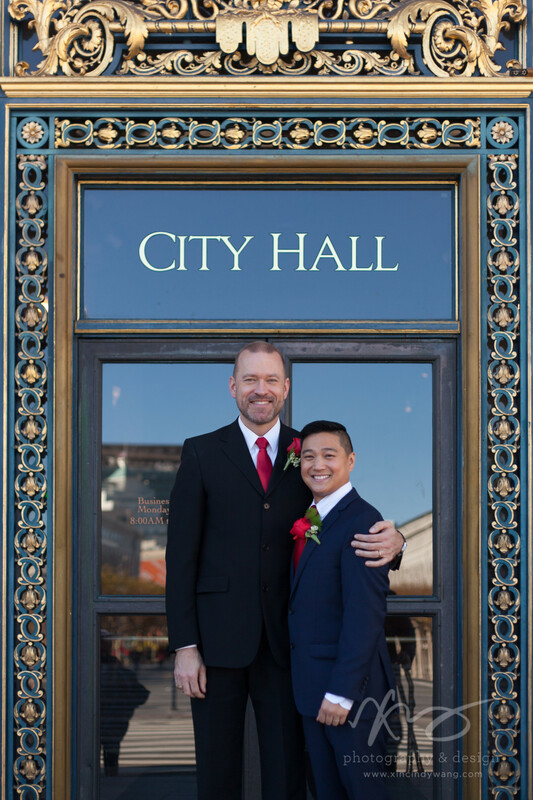 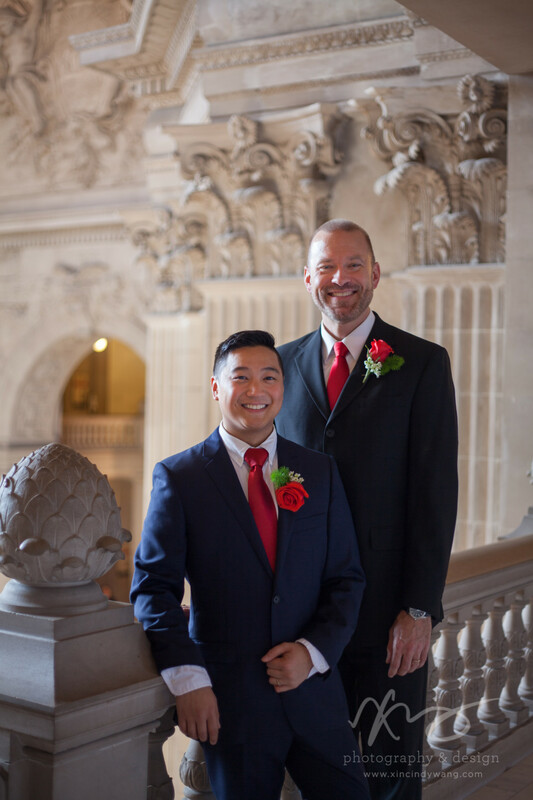 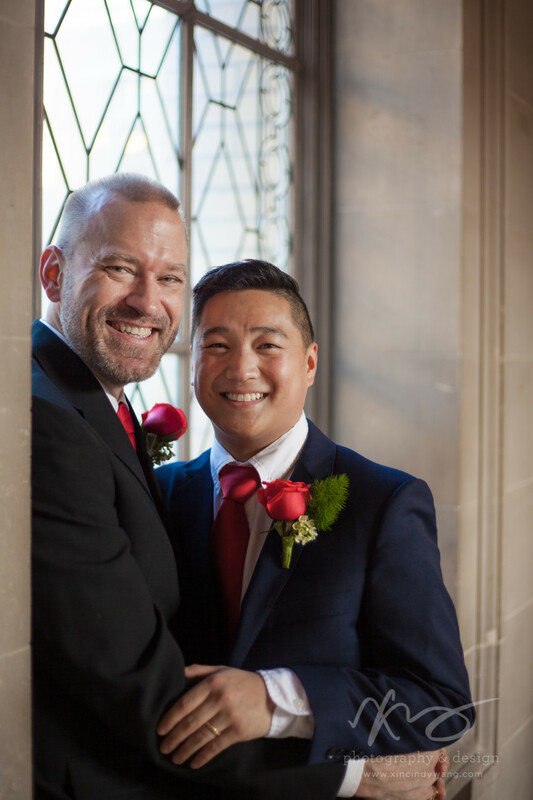 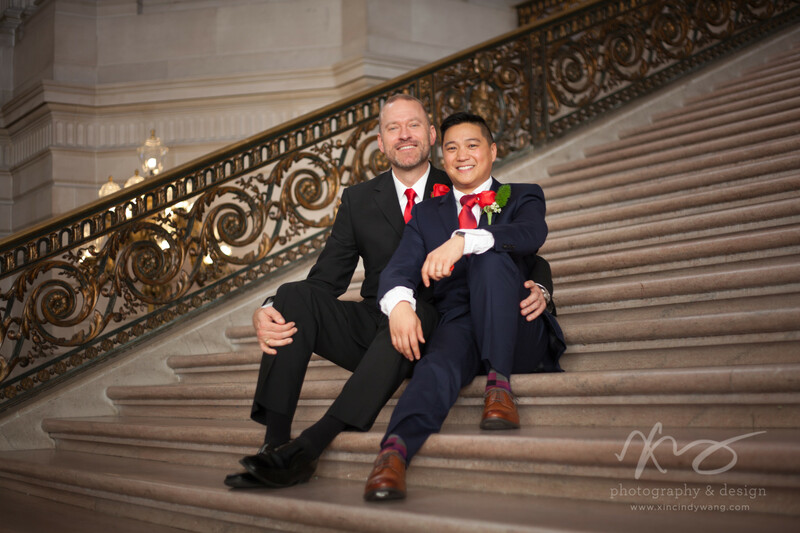 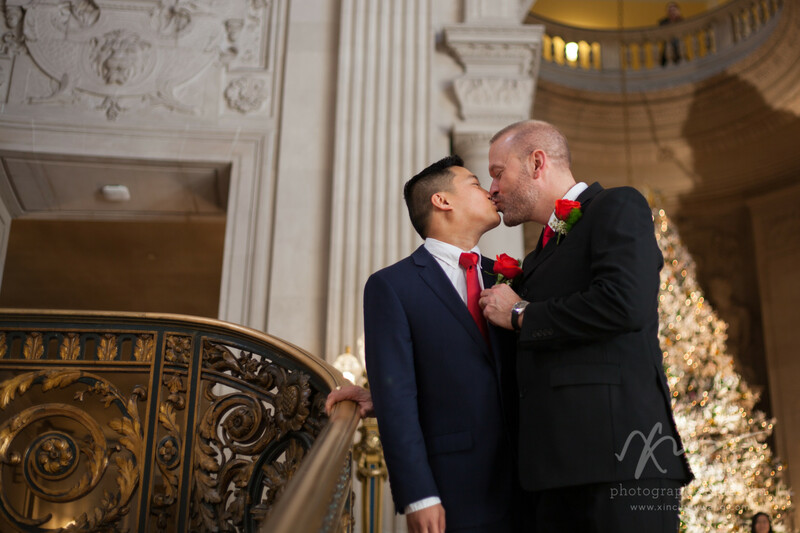 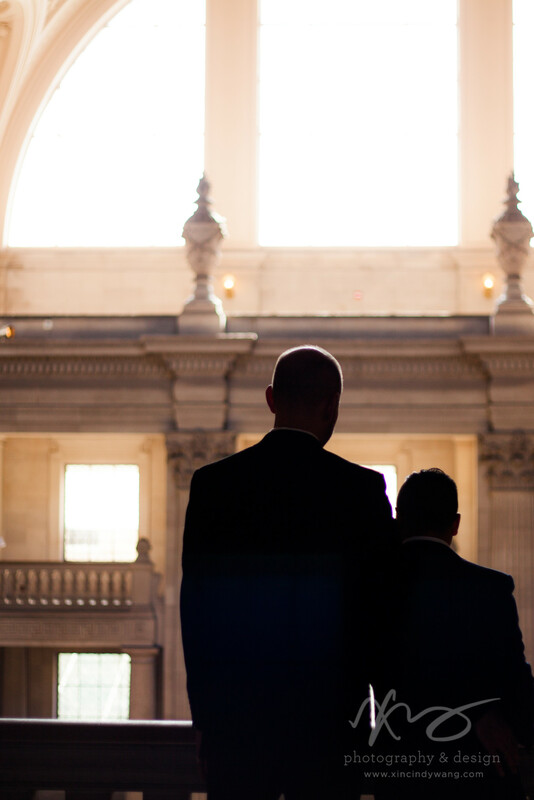 What a spectacle this wedding was to behold – Karl, a grad school classmate who suffered with me through those first-year grad school classes, finally married Jason, his beau of umpteen years, and they invited me to capture their small SF City Hall ceremony. 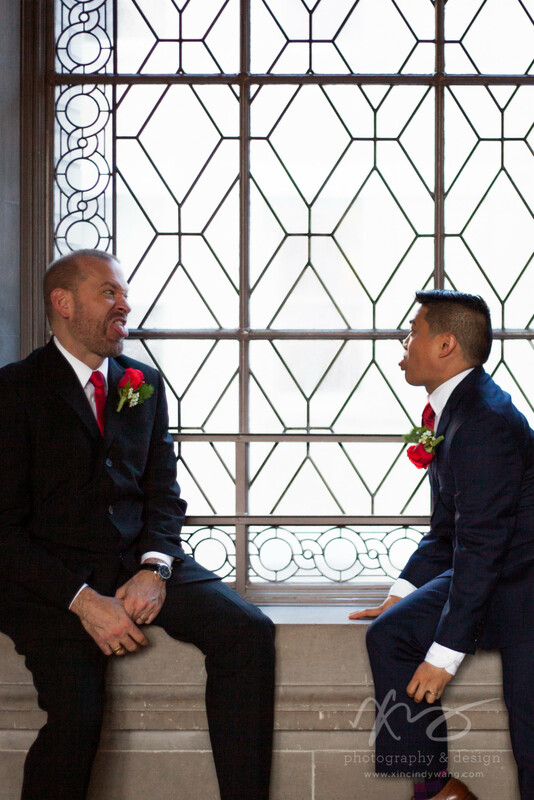 As you can tell, these two are serious goofballs. 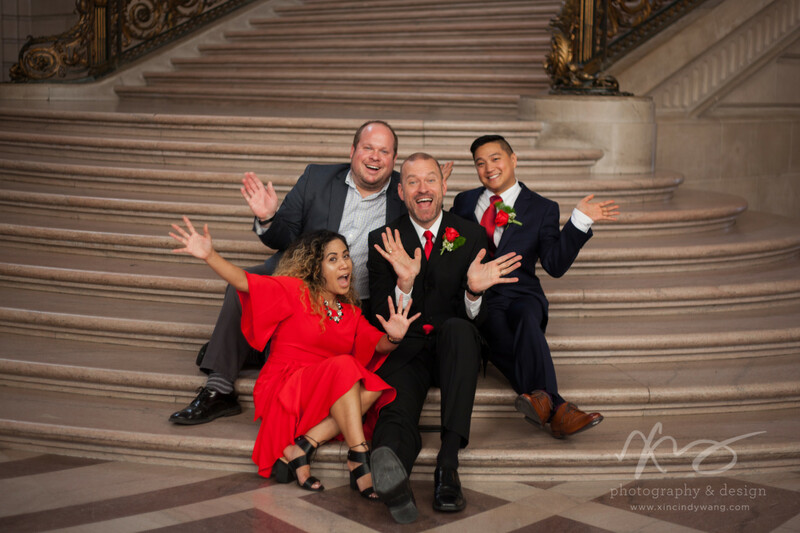 For a very brief moment, I debated just uploading the Serious Photos because it’s such a Seriously Gorgeous Venue and marriage is a Serious Milestone and yada yada. 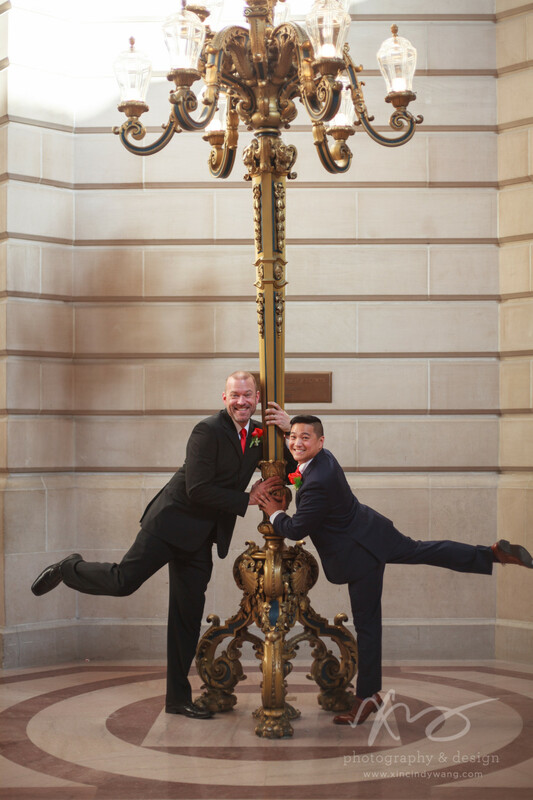 But that would clearly betray the moment, because if your first instinct when you see a lamppost is to pull out your jazzhands and dance, then that’s obviously what your wedding photos should show.